Personalized treatments for cancer are multiplying. As they multiply, so do clinical questions, such as: Which targeted therapies will be most effective? Have the first signs of a relapse begun? When does a tumor become resistant to the current protocol? Decisive moments in care begin at the point of diagnosis and extend through time. They hinge on subtle genetic differences and bring together the lab, the clinician, and the patient. In the translational lab, your expertise is critical to developing, conducting, and helping treating clinicians interpret complex yet powerful genetic tests (AACC 2015) — patients' lives hang in the balance. Discover how your lab can play a role in key decisive moments. Click the droplets to move among decision areas. Your first decisive moment is deciding which technology platforms to bring into your lab. This choice will influence the genetic information you can acquire, how you integrate testing into clinical information systems, the level of bioinformatics support you’ll need, how you allocate lab resources and achieve efficiency, and, ultimately, what information you can provide to clinicians (Valdes and Linder 2011, Atlas Medical 2016). For example, say you need to detect known EGFR mutations associated with acquired drug resistance in non–small cell lung cancer (NSCLC). You want to measure these driver mutations in the circulating tumor DNA (ctDNA) found in a plasma sample. The technologies you can use all come with tradeoffs and have many factors for your lab to consider (Valdes and Linder 2011). To detect those EGFR mutations in plasma, how do these three technologies compare in cost, turnaround time, and sensitivity? Take a look and see. You've chosen your technology and now you need to support treating clinicians in their first major decision: determining the most effective agent based on the patient's oncogenomic profile. Where in the past a treatment team had only a standard chemotherapy regimen, varied perhaps by tumor histology or the patient's performance status (NCCN 2008), today's clinicians frequently can choose among multiple targeted drugs for patients with specific tumorigenic mutations (NCCN 2016). As clinicians' options increase, so does their need for guidance. If you can give them clear genotyping information, you help them identify which tumors are susceptible to targeted agents. But traditional typing using tissue biopsy has several important limitations, including limited tissue for testing, slow turnaround times, relatively low sensitivity, and the potential for failed biopsies or complications. With plasma genotyping, also known as liquid biopsy, you can offer a noninvasive method that evaluates tumor-derived cell-free DNA in a patient's blood. In the case of EGFR mutations associated with advanced NSCLC, liquid biopsies using ddPCR have shown high specificity and sensitivity, a predictive value of 100%, and better turnaround times compared with traditional biopsies in identifying mutations that may qualify patients for specific tyrosine-kinase inhibitors (TKIs) (Sacher AG et al. 2016). 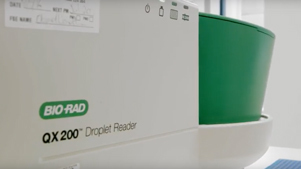 Watch the video to see how an oncologist uses genotyping information in deciding on a treatment plan. The initial biomarker analysis is done. Together the oncologist and patient have chosen a course of therapy. Now, the care team needs your insight into how the patient responds to treatment and how the disease progresses. Your ability to monitor genetic biomarkers may soon make important clinical decisions possible in near real time. For hematologic malignancies, where the cancer can be assessed without the need for invasive tissue rebiopsy, the value of monitoring — and its impact on improved outcomes — is already well established. Liquid biopsy is beginning to bring the power of noninvasive, highly sensitive, near real-time monitoring of treatment response to solid tumors as well. For example, in a recent study, investigators monitored a single patient with metastatic ER-positive, HER2-positive breast cancer receiving two lines of targeted therapy over 3 years. Their analysis showed that serial changes in circulating levels of subclonal mutations correlated with different responses to treatment between metastases, providing valuable information to guide treatment decisions (Murtaza et al. 2015). As with hematologic malignancies, the presence of oncogenomic biomarkers after initial treatment may also provide valuable predictive information about relapse. For example, in breast cancer, investigators examined 20 postsurgical patients using whole genome NGS of the primary tumor to identify chromosomal rearrangements and then screened for these molecular changes in plasma using ddPCR. They detected the rearrangements in 93% of patients (13/14) who went on to develop metastatic disease and 0% of patients (0/6) who had long-term disease-free survival. In addition, circulating tumor DNA in the plasma preceded clinical detection of metastasis in 86% of patients with an average lead time of 11 months (Olsson et al. 2015). As you monitor key genetic biomarkers in ctDNA, your lab is on the lookout for the next decisive moment: the first signs of resistance to targeted therapies. When specific genetic markers start to signal the beginning of resistance, you're able to quickly spot them, determine their abundance, and track any increases in abundance. Several studies have demonstrated that liquid biopsy can more rapidly identify resistance mutations in solid tumors than traditional protocols, with lead times ranging from weeks to months. For example, plasma levels of mutant EGFR in patients with NSCLC treated with erlotinib were detected by ddPCR 4–24 weeks prior to progression by RECIST criteria (Sacher et al. 2016). Early detection of resistance facilitates early adjustment of treatment. 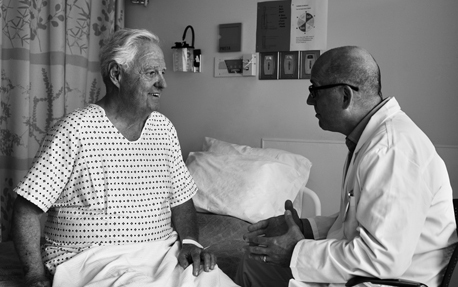 By providing this information to the clinical team, you can help them make treatment changes that may ultimately lead to better patient outcomes. Edward, 72 and a retired environmental scientist, was healthy and talkative at his latest check-in. He described a light jogging routine and looking forward to his granddaughter’s college graduation next year. Six months earlier, his oncologist had diagnosed him with advanced NSCLC. Positive for a common EGFR mutation (EGFR L858R), Edward had responded well to TKI therapy (erlotinib), with radiographic evidence of tumor regression at 6 weeks. However, like most NSCLC patients with sensitizing EGFR mutations who experience initial success with targeted therapies, Edward was already beginning to develop drug resistance. Inside his body, new oncogenic mutations were already present in increasing quantities. Identifying these mutations would be critical for keeping Edward’s cancer from progressing, and the time to do so was now. How would his oncologist get the information he needs at this decisive moment? What do decisive moments like choosing lab technologies, getting a liquid biopsy, or collaborating on clinical decisions look like in practice? 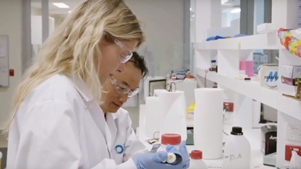 See more real-life stories of how clinicians and patients at the Olivia Newton-John Cancer Research Center in Melbourne, Australia are making these decisions with the help of genetic information and ddPCR. How will your lab develop the tests and practices that will help clinicians and patients with today’s and tomorrow’s decisive moments? Where will you make a difference? AACC (2015). Advancing personalized/precision medicine. aacc.org/health-and-science-policy/advocacy/position-statements/2015/advancing-personalized-precision-medicine. Accessed September 24, 2016. Atlas Medical. 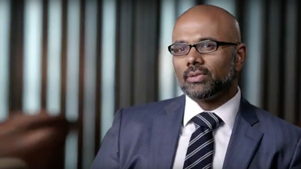 Atlas Medical shares how labs can support precision medicine, optimize test utilization. atlasmedical.com/atlas-medical-shares-labs-can-support-precision-medicine-optimize-test-utilization/. Accessed September 24, 2016. Bordi P et al. (2015). Circulating DNA in diagnosis and monitoring EGFR gene mutations in advanced non-small cell lung cancer. Transl Lung Cancer Res. 4, 584–597. FDA. Table of pharmacogenomics biomarkers in drug labeling. fda.gov/Drugs/ScienceResearch/ResearchAreas/Pharmacogenetics/ucm083378.htm. Accessed September 24, 2016.